Udaipur, one of the most romantic places on the surface of the earth can spellbind anyone with its magnificent palaces, serene lakes and flourishing natural beauty. It’s no surprise that this spectacular city has captured several hearts with its aestheticity over the years. Ever wondered how magical it would be to exchange vows against a surreal backdrop in the city? Udaipur is known for its exuberant heritage that is spread across a number of palatial structures and forts. Celebrate your nuptials at beautiful locations like the City Palace, Jagmandir Island Palace and Fatehgarh Fort and adorn the precious moments with a regal touch. Enjoy all the modern amenities at these historic architectural marvels. Your wedding planner in Udaipur can also organise your events at other luxurious properties like the Lalit Laxmi Vilas Palace and the Leela Palace. All these heritage venues and breathtaking properties allow you to revel in the style and comfort of the present age while still being a part of a fairytale wedding. The serene water body like the Lake Pichola holds two of the most extravagant locations for destination weddings in Udaipur, the Jag Mandir and the Taj Lake Palace. Moreover, many pristine hotels offer a marvelous view of the idyllic Fatehsagar Lake, Swaroop Sagar Lake, etc. Amongst the other amazing things you can do here is taking a romantic boat ride in these lakes with your loved one. Your wedding day is not witness to just your precious union with your partner but it’s one of the most cherishable days of your life. Seeing yourself submerged in a time of revelry against the majestic mountains, lush gardens, breathtaking lakeside and the local vibrant culture in the background will bring back many pleasant memories of the day when it all happened in reality. 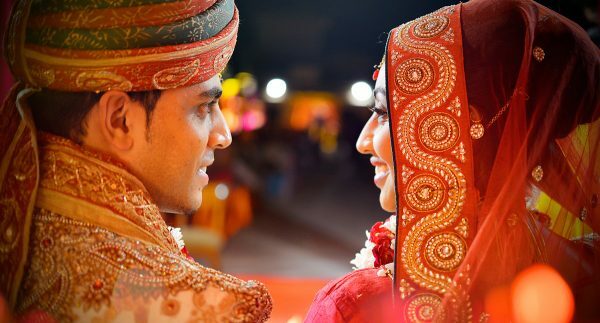 Ask your wedding planner in Udaipur to arrange for the best photographers and videographers who will remind you of the celebrations in the best way possible. From pre-wedding shoots to covering all your wedding events, the pool of talented photographers in Udaipur has the prowess to relay the right emotions via their clicks. Udaipur has consistently been in limelight for its romanticism and natural splendour. This has translated into several couples finding it to be one of the most amazing places for destination weddings. Over the years many professional destination wedding planners or event management companies have come up and have been providing an unforgettable experience to the couple and their guests. Some of the best wedding planning agencies to choose from are the Dream Makers Event, Mesmeric Moments, MovingKnots, etc. Your wedding planner in Udaipur will handle all the arrangements with ease and will make sure that you get to have fun at your wedding without any worries. Anyone who comes across Rajasthani culture, cannot stop appreciating it’s ultimate grace and warmth. Right from the traditional ‘khamma ghani’ greeting to holding the guests in the highest regard throughout the events, the hospitality is aimed at providing a unique experience brimming with luxury and comfort. From addressing every big and small need with utmost vigilance to guiding the guests around in the most respectable manner, the hospitality displayed during every event of your destination wedding in Udaipur will be worthy of praise. If you think Udaipur is buried somewhere in the deep and has poor connectivity, it’s untrue. Being one of the most travelled-to cities in India, it is well-connected to all the major cities of India whether through a network of roads, trains and air routes. For international travellers, there’s no problem as they can access the city via a flight from major cities like Jaipur, Mumbai and Delhi. Udaipur is not only blessed with surreal, calming beauty but it’s even free from the scare of petty crimes or other unwanted incidents. Besides your wedding planner in Udaipur and his team, the locals are a great help with their welcoming and considerate nature. The love for the city transcends through every Udaipurite’s nature and they will help you around like family. Even if you or your guests want to go about visiting the local attractions or do some shopping, it can be done without any fear. Udaipur police is agile and very particular about the safety of tourists. One can also get in contact with them via the special tourist helplines in case of any emergency. Apart from enjoying your wedding celebrations, you can take out time to get to some of the most attractive spots in and out of the city. Make a visit to City Palace, Pichola Lake, Nehru Garden, Sajjangarh, Kumbhalgarh Fort, Ranakpur Temple, Chittorgarh Fort and many other interesting tourists hotspots. This is one of the best things about having a destination wedding in Udaipur. Your guests can not only celebrate your new life moments with you but can get around and explore a new city altogether. They get to be a part a beautiful wedding and also carry along some cherished memories of their own encounters with the city vibe. So, why wait anymore? Get in touch with a wedding planner in Udaipur to make your dream of the perfect wedding take shape in reality.